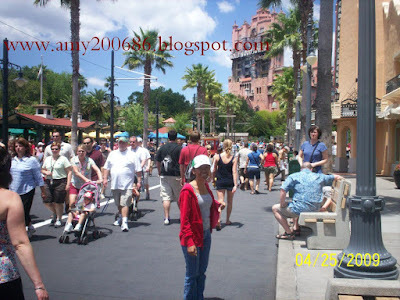 This is Sunset Boulevard at Disney World's Hollywood Studious in Orlando, Florida. Well, I wear a coat to protect myself from the heat of the sun. At the background, that is the Twilight Zone, Tower of Terror, a popular attraction that would give you adrenaline rush. You will experienced a drop from a 13 stories at random into another dimension. Well, I can't handle that ride. I am just heading to a stage show of Beauty and the Beast...see, I am so soft...LOL!